Originally constructed in the 1930s as part of a seminary, which operated from the property. 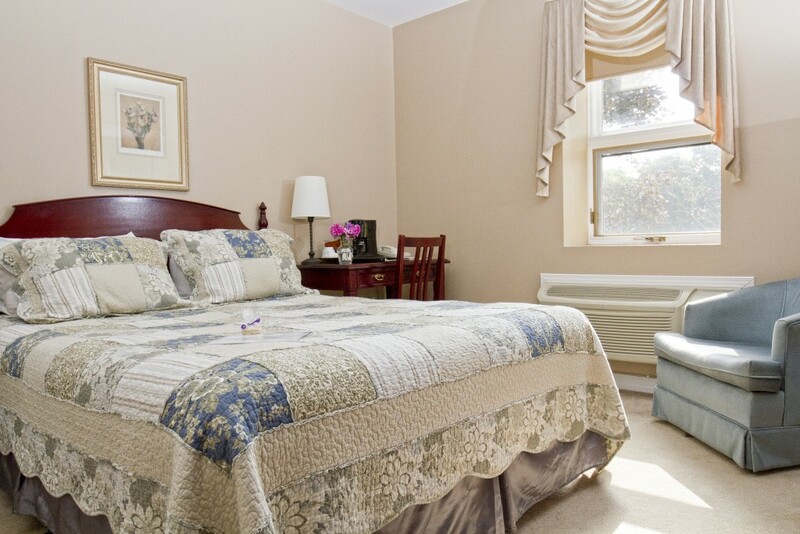 Renovated in 1985, the Terrace has nine queen-bedded rooms, one king-bedded room and two twin-single rooms. 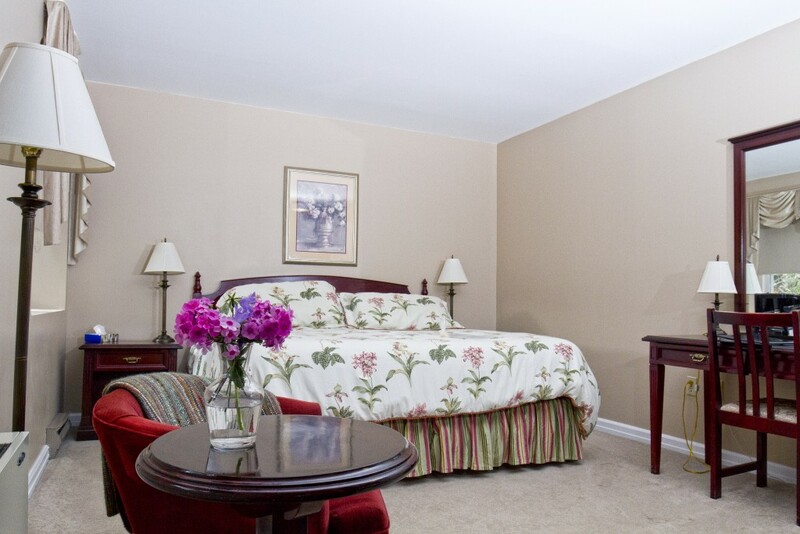 These rooms are smaller in size, but are decorated with the same care and comfort as the Manor rooms. The Terrace Building is more of a traditional style hotel but the rooms offer an all-world charm sure to satisfy all who stay. 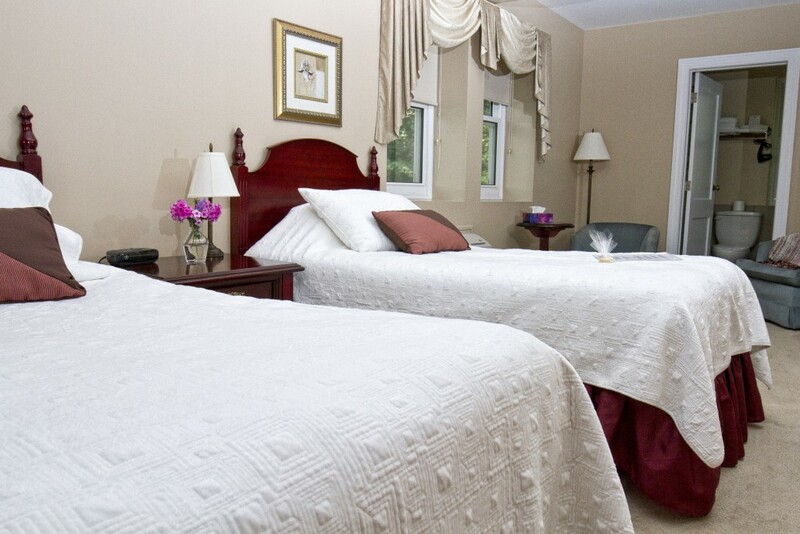 Features a well appointed queen bed and ensuite bathroom. The rooms are more your traditional hotel style and offer a cozy quaint atmosphere for guests. A spacious room that offers a beautiful view overlooking the landscaped grounds. This room is king bedded and features an ensuite bathroom. Furnished with two twin beds, the rooms have ensuite bathrooms, a sitting area and feature beautiful views of the landscaped grounds. The Terrace Twin rooms have the option to be converted into king bedded rooms.